This month we will continue with the Title Talk theme. 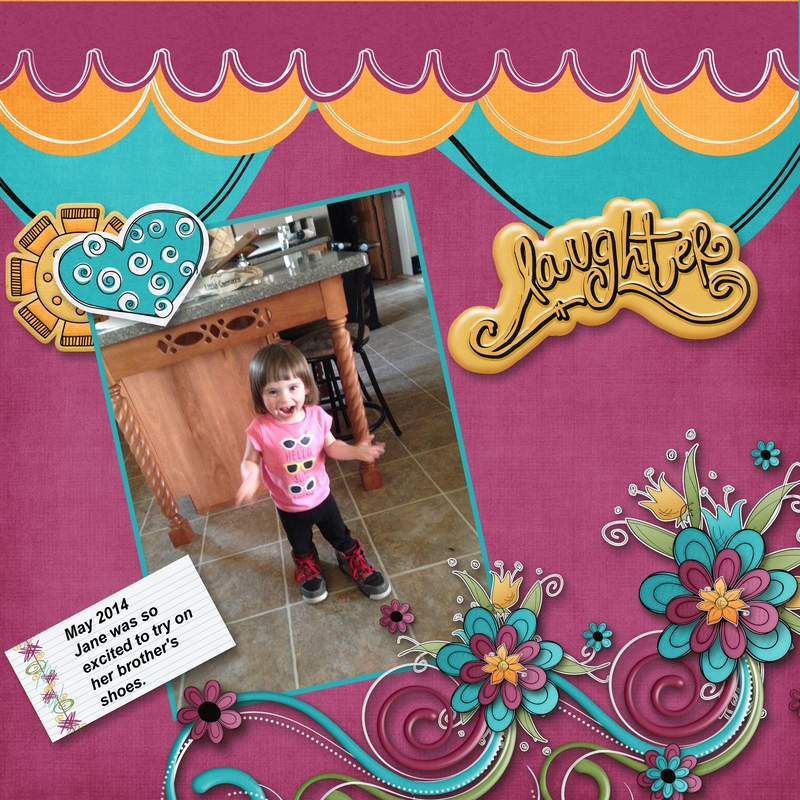 July's theme kit is Doodle Me Happy. 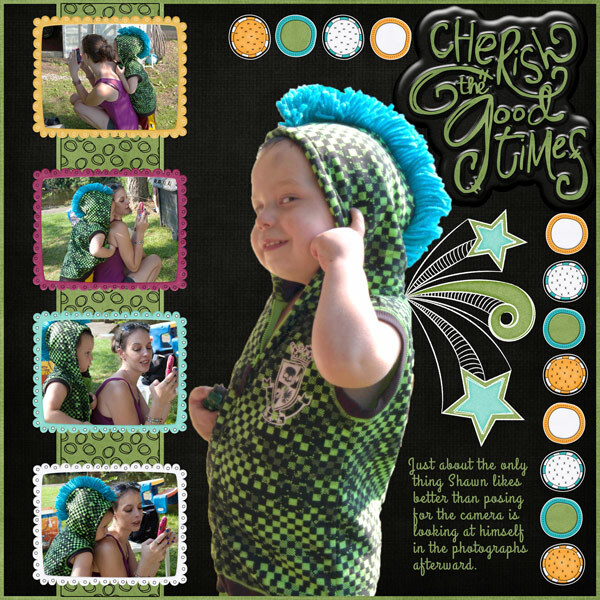 This kit is full of fun words and title to help you create the perfect fun, funky page. This month you to get a loyalty stamp you will need to use one of the word titles from the Doodle Me Happy kit to create your page, pages must be posted in this thread to earn the stamp. Doodle Me Happy is on sale 50% off between July 1-15! Please note that I will only be able to hand out loyalty stamps on the 26th of July. I am taking some time off in July to spend with my family but will send the stamps out once I get back to work. Thanks for understanding. Save $10 off MyMemories Suite Software with coupon code STMMMS0718 (you will also get a free month of the design club (8 kits) and a coupon for 30% off photobook printing). Layouts must be posted by July 31, 2014 to earn a July Loyalty Stamp. Have fun and I am looking forward to seeing what you create! I love this kit and had fun creating my LO. I love this kit. I've used it several times and will probably keep using it. The font is 2 Peas Beautiful. These are great ladies. I just got home from holidays, have to unpack, weed, laundry, etc but will be back to work on Monday and will get your coupons out to you. Love your pages, thanks for playing.